visiting Barcelona, we opted to rent cars and visit Collioure, France the day of the general strike. We weren’t sure how the city was going to react to the strike and who all would be participating, so we decided to take off out of town and spend the day in France. Sounds lovely, doesn’t it? Well, it was. It was a highlight of the trip. 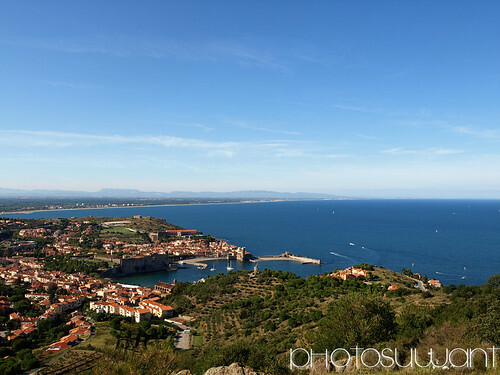 Collioure is a neat little town on the Mediterranean Coast and is also a popular cruise stop as well. The beach is rocky, the skies were blue and the smell of crepes was in the air (which we later proceeded to eat several of). One little attraction in Collioure is the Le Petit Train. 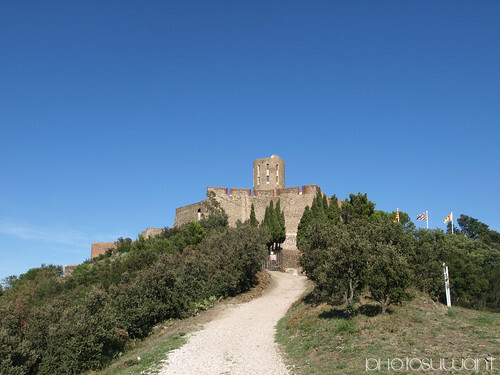 It’s a little train (on wheels) that drives you up the hill to see the castle and offers excellent views of Collioure, the Mediterranean and the quaint little village towns surrounded by grape vines and cork trees. The tour is offered in both English and French, depending on where you sit and it makes what would be a rather long hike, a nice little educational drive up a somewhat treacherous road. You only have a few minutes at the top of the hill, but it’s well worth the trip. 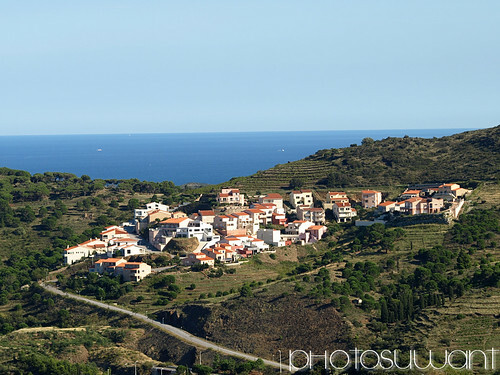 I believe that the photos I took best explain what you will see on this trip and if you ever find yourself in this quaint little French town, you should certainly take this little trip. The train leaves from a parking lot near the beach and all of the main shops. You can’t miss it. Execelant review i needed this sort of quility information for my homework.